Buzescu Ca is a specialist business law firm in Romania focused on investment related matters. 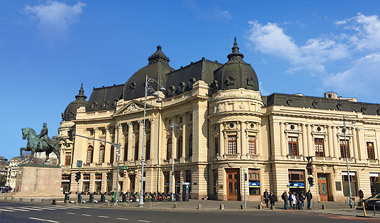 Our team advises international and local clients in relation to cross-border transactions, and on doing business in Romania. At Buzescu Ca, our clients come first. We are committed to providing the highest quality client service and pride ourselves on the fact that in many cases our clients come to us through recommendation from their peers. Our experienced business lawyers offer solutions to clients' problems, taking the time to understand their businesses and the markets in which they operate. Buzescu Ca is a full service Romanian law office - whatever your needs are, we are here to get the deal done. Clients say about Buzescu Ca "We always receive prompt and documented responses to our requests,"... "The team is dedicated and trustworthy and we appreciate the swiftness in the replies."